The “I” in Iaido refers to the existence of body and spirit. The “ai” in Iaido refers to the adaptability of both to changing situations. The “do” in Iaido refers to the art being a way of life. Iaido may then be translated literally as “the way of meeting life”. 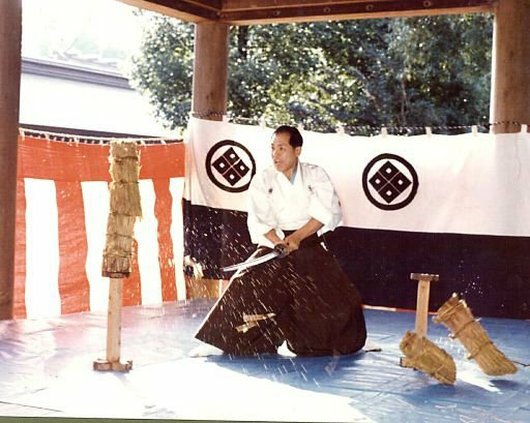 Iaido had its beginnings in the ancient martial art of Kenjutsu and was developed into an art involving of drawing the sword from its scabbard (nukitsuke), killing an opponent with one stroke of the sword (kiritsuke), flipping blood from the blade (chiburi) and returning the sword to its scabbard (noto). This enabled the practitioner to quickly and effectively respond to surprise attacks and to initiate their own surprise attack. The faster a warrior could draw the sword and cut his opponent, the more sure they were of victory. The swords were razor sharp and even the slightest cut could cause death. The cuts were developed to be several inches long and go two-to-four inches below an opponent’s skin, that caused bleeding almost impossible to stop. Many of the cuts were practiced to slice major arteries, puncture vital organs and even sever limbs of the body. The intent was very simply to kill an opponent with one cut. Iaido practice includes bowing, drawing, parrying, cutting, and returning the sword to the scabbard. The first step in learning Iaido is to practice traditional forms, known as waza. Each form teaches fundamental principles of how to handle the sword correctly. Many of these waza are hundreds of years old, and tens of thousands of students have practiced these forms through the centuries. 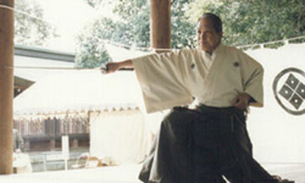 Iaido techniques are performed with a calm, solemn spirit, skill and concentration. One master of the art said: “With a tranquil heart you put your hand on the hilt of your sword. In a split second your hand moves to cut down the opponent and re-sheath the sword. Then, return to your composed mind.” It takes a lifetime to master the art of Iaido.